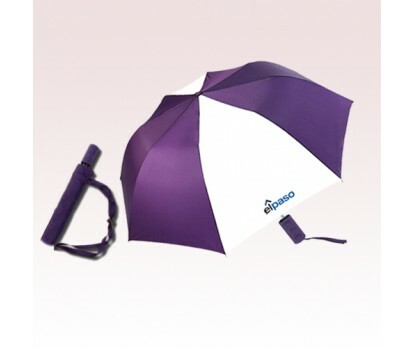 48 Inch Arc Personalized Twofore Auto Open Umbrellas are awesome promotional gifts for fashion stores as well as organizations. Available in exciting color options, these custom umbrellas are made with Nylon fabric, wind resistant steel frame and automatic open. For best comfort, they are presented with finger grip handle, matching sleeve with shoulder strap and matching rubberized handle. The large 8"W x 6.5"H imprint area on the other side assure great brand exposure. 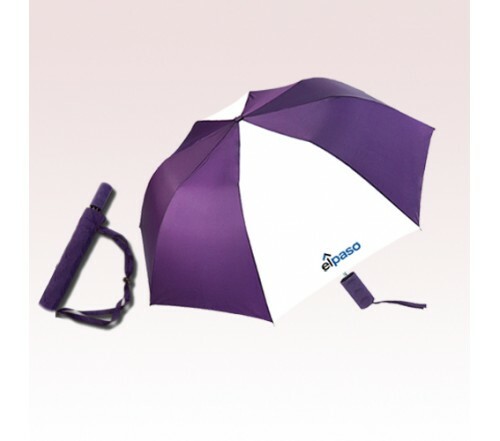 Order this custom auto, open/close umbrellas today to gain free online proofs, free design and best price guarantee offers. Request a quote to know price cuts that you can avail for wholesale 48 Inch Arc Personalized Twofore Auto Open Umbrellas. Available Colors: Black/White, Hunter/White, Red/Black, Burgundy/White, Gold/Black, Royal/White, Navy/White, Orange/White, Purple/White, Red/White. Product Size: Arc: 48" Folded Length: 17"
Material: Steel Frame, Nylon Fabric and Rubber Handle. Additional Information: Auto open, Steel wind resistant frame, Nylon fabric, Matching rubberized handle, Matching nylon sleeve with shoulder strap.